Ireland’s first series of Celebrity Mastermind wrapped up last night. How would you have fared with the general knowledge questions? 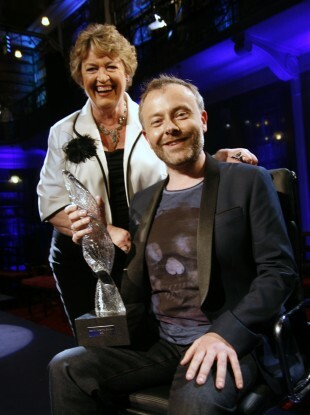 2FM's Rick O'Shea cradles his Celebrity Mastermind trophy, with host Nora Owen. IRELAND’S FIRST SERIES of Celebrity Mastermind wrapped up on TV3 last night, with 2FM broadcaster Rick O’Shea taking the title with a seriously impressive overall score of 32. To put that in context, contestants on the British version of the show – in which participants face one round of questions on a specialist topic, and another on general knowledge – rarely score above 30 points. In fact, had Rick – whose specialist subject was the Solar System, scoring 15 out of 15 in the first round – scored 32 in the final of the 2009 British series, he’d have won that too. A score of 32 would almost certainly beat most contestants in other years – only five contestants scored higher points in the British series between 2005 and 2010. Now while we obviously can’t question you on your specialist subject – the internet’s interactive, but it’s obviously not that interactive – we can at least try to see how you’d do when faced with the same general knowledge questions that Rick faced last night. Here are the 21 general knowledge questions that Rick got, answering 17 correctly. How would you have done? The answers are available in the link at the bottom. What everyday item, used as a portable rain shelter, was also the title of a 2007 worldwide hit for pop singer Rihanna? What is the current name of the Indian city formerly known as Bombay? In which sport do teams compete for the Calcutta Cup? Table salt has two chemical elements. Chlorine is one, what is the other? A silver anniversary represents how many years of marriage? Name the character played by Ronnie Barker in the BBC sitcom ‘Porridge’. Which famous writer initially published her work under the alias ‘Ellis Bell’? What substance, found in the fourth stomach of a young calf, has milk-curdling properties and is also used in the production of cheese? Which Irish county has both a North Riding and a South Riding? What is the profession of the fictional character Sweeney Todd? In Greek Mythology, what did Prometheus steal from Zeus to give to mankind? Which County Tyrone-born singer wrote the theme tune for the TV sitcom ‘Father Ted’? The wreck of which famous Irish ship was pinpointed deep in the north Atlantic in September in 1985? In which holiday camps are the entertainers known as ‘Redcoats’? What is the surname of the four acting brothers Alec, William, Stephen and Daniel? From which French region does the Chablis wine come? What feast day do Americans traditionally celebrate on the fourth Thursday of November every year? Which Irish poet was one of the founders of the Abbey Theatre in Dublin? What is the capital city of Spain? If a car displays the initials CH, what country is it from? Email “How would you do in the Mastermind chair? Take the test”. Feedback on “How would you do in the Mastermind chair? Take the test”.